These days, it seems a communications or social media conference is incomplete without obligatory mentions of social media measurement, social media metrics and web analytics. Unfortunately, more often than not it is difficult to show that social media can help improve ROI (Return on Investment). Is it possible to manage the big headaches of super-abundant information to reap the rewards? If you sometimes feel that you are overwhelmed with data, this post outlines four steps for reaping the rewards – from social media measurement to boosting ROI through social media efforts. But first, we offer some irony: sign up with your email to be among the first to get our next blog post. 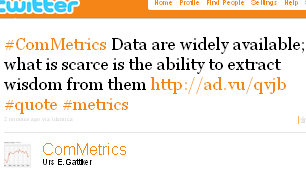 Whatever we do we have to describe and define the purpose of social media analytics. 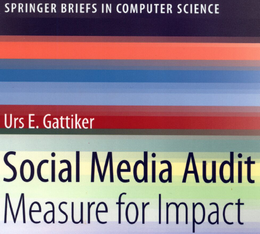 – effectiveness of collecting a particular social media metric means that it achieves its stated purpose – requiring a business or individual to spell out: What should collecting a particular social media measurement or social media analytics accomplish? – efficiency means the desired results are worth more than the resources required to achieve them: measurements collected and insights gained from them must be worth more than the efforts and money needed to get them. Number of unique visitors to a blog post can be collected efficiently (i.e. quickly and easily). 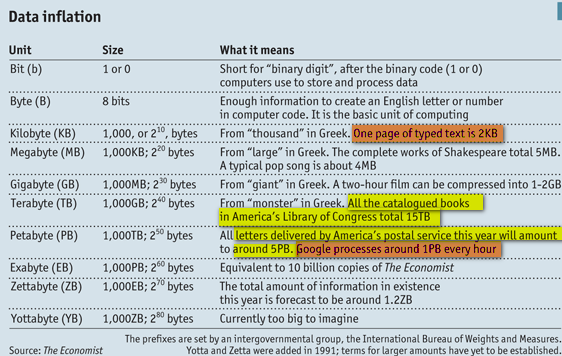 Unfortunately, this metric may not provide us with the information we need. Rule 1: Collect one or two ‘efficient’ metrics such as pageviews or unique visitors, but focus on the trends over time. Most importantly, define a couple of ‘effective’ measures that help you achieve your strategic objectives. Sentiment analysis is an efficient way to collect data, but the findings are often invalid = ineffective way to do things. Retailers commonly collect data from their customers and Wal-Mart has confirmed that it handles more than 1 million transactions every hour, feeding databases estimated at more than 2.5 petabytes in size (i.e. 167 times the books in the US Library of Congress). The above numbers are certainly impressive, but for your business you should ask: Why are we collecting data, or put differently, what actions are taken once the numbers are in? If no actions are taken within 30 days after receiving numbers about lower pageviews or higher conversion rates, why collect the numbers? Rule 2: Any collected metrics must result in actions. If no decisions get made based on the insights gained from your data, collecting data becomes a waste of resources and should stop immediately. While we collect increasing data, they are often inaccurate, such as those collected through a customer loyalty program. For instance, sometimes I forget my loyalty cards when shopping or purchase my favorite toothpaste or shaving gel at another store. In fact, we tend to collect more data than we need, and its quality may not allow us to reach the correct conclusions. Rule 3: Collected information is never perfect, thereby requiring that inferences be made by watching trends. However, insights gained and decisions made may not be what they first appear. Often users are given samples or an opportunity to take a test-drive (e.g., toothpaste, laundry detergent, My.ComMetrics.com) in the hopes that after testing the product, they will purchase it. For instance, Flexity, Tangotram and Combino are all tram manufacturing companies that were invited to Zurich for a 2-week test-drive on Route 11. Passenger feedback was collected with the help of surveys and used to improve tender specifications (i.e. for some seats passengers wanted more leg room which was then included in the tender specifications). Test-driving any product for a while will result in insights that would not be gained otherwise and can markedly improve user experience. The data can also help improve technical specifications, as well as lowering warranty and maintenance costs. It is hard to design products ‘by focus group’ or ‘by engineer’. Focus group participants may not know that they hate or love a feature until they try using it in their everyday. And believe it or not, engineers can forget things. A/B testing and product tests are relatively simple and cheap ways to help reduce the risk of a product flop in the case of a new webpage, user-community or corporate blog. Rule 4: Instead of just using focus groups or asking engineers to design the product or service, take the prototype for an extensive test-drive. Use the data to make strategic decisions for improving your social media measurement ROI. Somewhere, somehow, more data is always available. Following these four rules should help reduce the hazards of having too much unimportant data. Eyeball measures are easy, but rarely tell you whether you achieved your strategic goals with the help of social media, thereby boosting ROI. Effective data collection means getting data that is good enough to gain insight as far as your Key Performance Indicator (KPIs) are concerned. In turn, one can take action to improve the company’s bottom line. Unless you have good-quality data at an affordable price, decisions will be based on an unstable foundation and could result in disaster. Have an opinion on this? How do you manage best? Please share in the comments; I love to hear what works for you! Very interesting and informative article. As a Social Media manager, one of the key issues for my clients is the ability to track the bottom line impact of their social media strategies. As you point out, there are times when data needs to be analyzed over time to understand trends, rather than using short term results for immediate action that may not be justified. One question – what eventually happens to all the data that organizations like WalMart collect and how secure is it? Thanks for your comment on Social media: Boosting ROI –YES Wal-Mart has tons of data and I am not sure what the company does with it all. My worry is that every single retailer has a huge data set and while it may be secure, hackers will find ways to access these data. If they can make sense out of it is another question. But we have had cases already in the US where credit card info stolen from databases came into the wrong hands. But then at the same time I wonder about Domino's Pizza which has a tie-up with Foursquare, the location-based social network. Telling others via Foursquare that I am having a pizza at a Domino's is one thing, being stalked as a result….. is horrible. Another challenge we face thanks to sharing location data on social networks where some people can simply not be trusted. In principle, I worry about any data that is being store anywhere about my shopping habits. Regardless how secure these things are, there is always a risk that an unauthorized party gets access to this information…. stalking is just one result of such criminal acts…. the rest we all know. Jackie, thanks for sharing and I hope to have you come back commenting soon. Meausring social media ROI.nThanks for the positive feedback. Hope to see you come back and comment in the near future. Thanks for the positive feedback. Hope to see you come back and comment in the near future. Thanks for this. 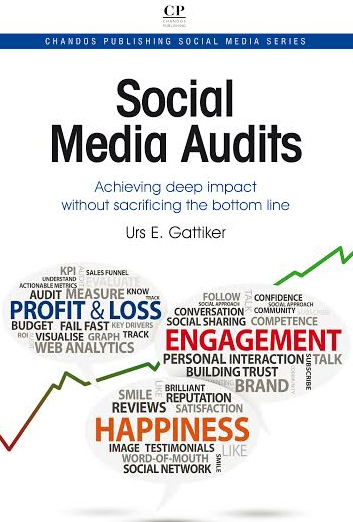 I find it extremely difficult to measure social media ROI. Usually we just ry on estimate or what is left over after adding other sources of revenue. This will help us get more accurate numbers. 2 – figure out the operating metrics critical to your company such as reducing time people wait to get a table in a restaurant. Here, tweeting people with a coupon at 10 am might bet the to come in and order before 11:30, thereby benefitting from the discount while reducing the traffic around noon. => Engaging comments: Where is the beef? I hope the above links are useful to help you further improve your efforts in getting a handle on social media ROI.